Orleans Antique Lighting is the largest Antique Lighting store in the Northeast. 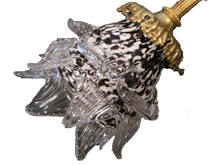 We specialize in 19th and 20th century European and American lighting. We are a third Generation family owned company. We are importers of European lighting and can offer you the best prices available. We are master restorers, and handle every piece as if it were our own with. All work is done right in our store. Whether it is our own piece, your find,or family heirloom, we will provide honest,courteous and professional service. We handle all forms of restoration, rewiring, polishing, brazing, soldering, and mountings. 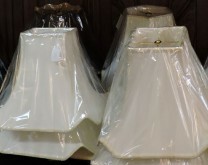 We have a large Parts Department inventory, with thousands of globes,lampshades and parts for all types of lighting. Please browse through our website and see what we have to offer.As with all antiques what is here today may be gone tomorrow . If you’re looking for that special piece, we have well over a hundred 19th and 20th century European and American lighting fixtures in stock. Here at Orleans, we are master restorers, not resellers or outsourcers. We take care of each and every piece we work on as if it were our own. 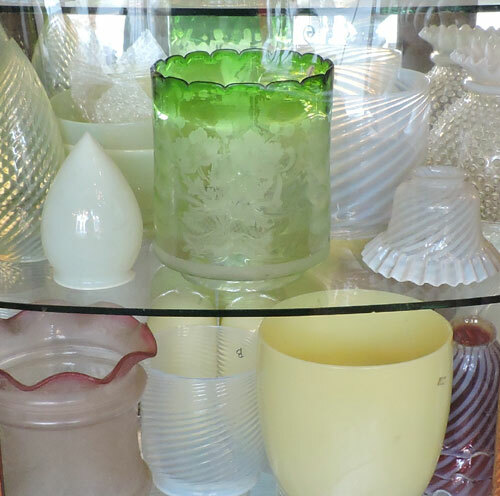 We have the largest of selection of shades, globes and other lighting accessories anywhere. Find the perfect match for your lamp or fixture here at Orleans!